Hello everyone, fancy this, me actually having time to sit down and write. It’s a miracle. Im back! Now if you don’t already follow me on Instagram, you may or may not know i went to the USA for just over two weeks. I recently went to visit my Aunt and the family in San Diego, however we did pitstop at a few places along the way including, LA & Vegas BABY! So Lets begin with : Los Angeles. Hop on the plane from Manchester, fast forward 11hours (9 of which took my whole mental and physical will power and restraint not to pull the hair of the woman who’s messy bun, was messing all over my little head seat TV screen) and we finally touched down in sunny LA! ‘You know, LA traffic where the city is slow’ and boy oh boy is the city slow. The traffic is out of control here. Thankfully we had the worlds most optimistic uber driver playing the role of our own personal tour guide as we coasted towards our hotel, The Radisson Midtown USC. It was around 4pm once we managed to get to our hotel, get changed and freshen up. So we decided why waste time? 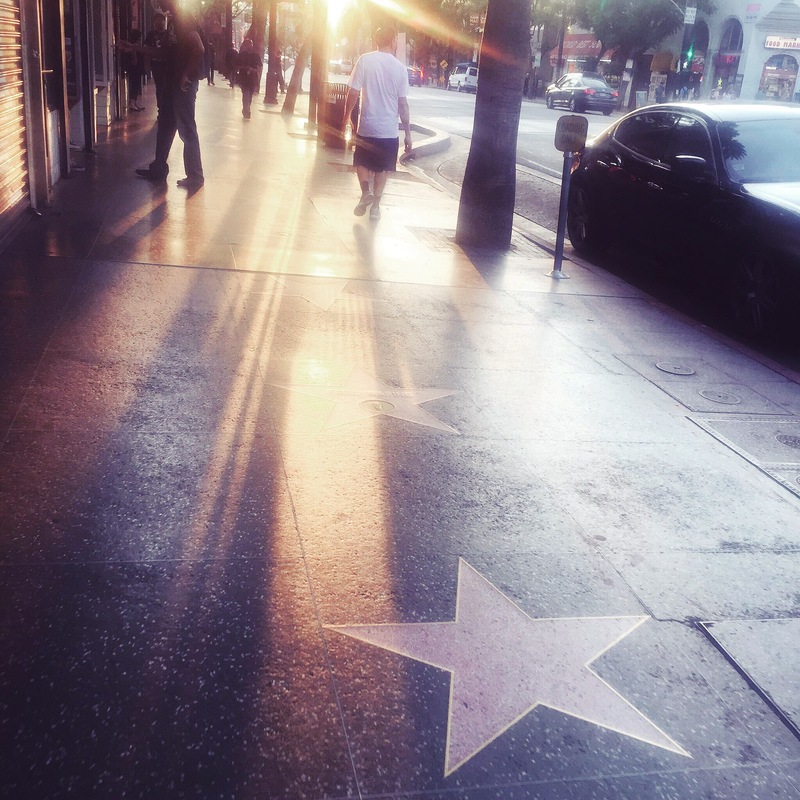 Lets go…Hollywood Blvd. We walked up and down the street, hopping over peoples names and keeping an eye out for our favourites, enjoying the beautiful heat. After a while we (very tiredly) decided to take a ride on a tour of the city bus. You know the ones, they drive you around and point out everything there is to know about the city! We went up the hills to see the Hollywood sign and look out over the city. This was absolutely beautiful! The view was outstanding and we managed to get there before sunset. As the sun began to set we started winding back down the hills and were pointed towards many different (mainly dead) celebrities houses. Perhaps my favourite moment was when we were literally showed a gate. yep, a famous persons gate. Now had we been more alert we could/should have found this tour interesting but instead we found ourselves laughing at the whole experience. What can i say? It was one gate too many for us. After exploring more of the city, getting to see the Chinese Theatre and the city at night. We decided, it’s time to head home. Also i don’t know if you are aware but there are so many homeless people in LA, and as soon as the sun goes down, the city changes. There is a weird vibe around Hollywood and the atmosphere is less than glamorous. 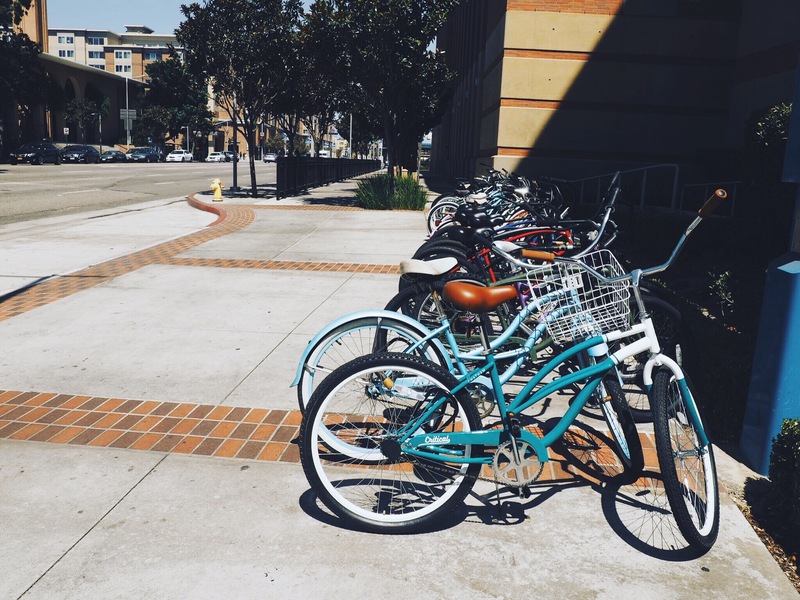 Fun fact: Cat calling is still a thing in LA, only here it tends to begin or end with some ‘white girl’ comment. Fantastic. Heading back to the hotel, all i could think about is how much i wanted pizza. So you better believe it, i ordered some pizza. Well, by some pizza i mean, THE WORLDS LARGEST PIZZA. EVER. I literally woke Naomi up to eat some pizza with me as i felt bad by how much i would have left. Up bright exceptionally early, we watched the sunrise over the city as our body clocks laughed at what little sleep we had. Choosing not to dwell we went for a walk around USC, grabbed some lunch and my favourite food : FRO-YO. This place challenged all Fro-Yo places. SO MANY FLAVOURS. I had a coconut cheesecake flavour pot with different fruits on top. As we wandered around midtown we became very aware we were in an academic area of LA. The pavement was covered with students walking to and from classes, young cool kids hopping on and off their bikes and the streets were beautiful here, big palm trees aligning the roads. Oh and how LA is this? They were literally filming a movie on campus that day! 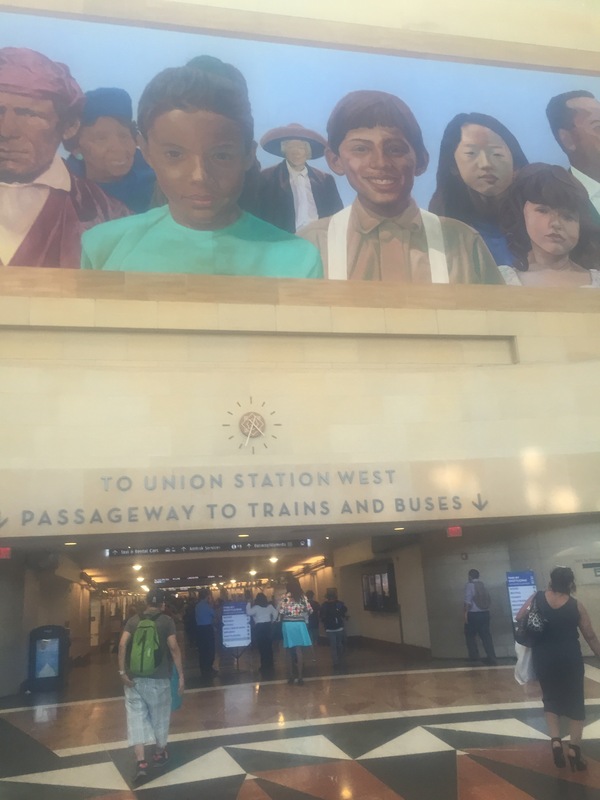 As the afternoon got closer as did our deadline to make it to the train station because we were about to hop onboard the Pacific Surfliner to Oceanside – San Diego where we would drop our cases before setting off to LAS VEGAS! Stay tuned to hear all about our VEGAS adventure…coming up next. Previous 25 Thoughts everyone has on a night out! Don’t you agree? Next How to survive moving to a new place in 5 steps!